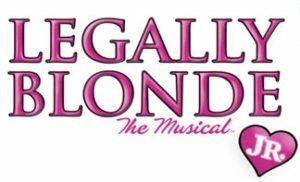 The Children’s Musical Program is back for Fall 2016 with South County Performing Art’s (SCPA) production of Legally Blonde Jr. CLICK HERE to visit SCPA’s website for more information. Welcome and thank you for visiting the Ladera Ranch Education Foundation online. We are pleased to present our Internet-based information portal designed to assist our sponsors, grant participants, community leaders and volunteers in creating a foundation that will serve the best interests of our children. The Ladera Ranch Education Foundation was created to raise funds to enrich and improve the quality of the educational environment for the public school children of Ladera Ranch. It is designed to strengthen the relationship between the public schools and the community, and to support a level of excellence and innovation in our children’s educational experience. Thank you for your interest in the Ladera Ranch Education Foundation. We welcome your input and support. © 2014, The Ladera Ranch Education Foundation, Inc.